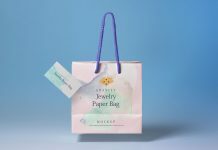 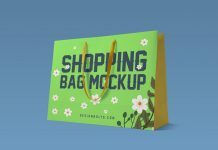 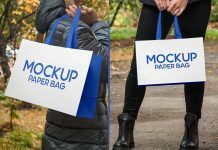 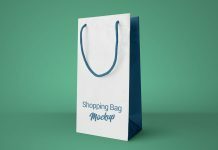 A high resolution paper shopping bag mockup with three sides to insert smart objects. 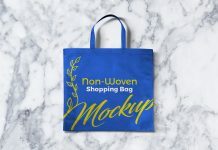 It is a photo based shopping bag displayed with a snowy winter shot on the backside of shopping bag. 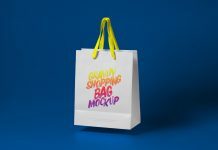 As companies keep on changing the branding designs and promotional items according to seasons and events. 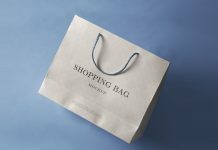 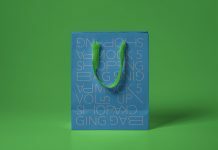 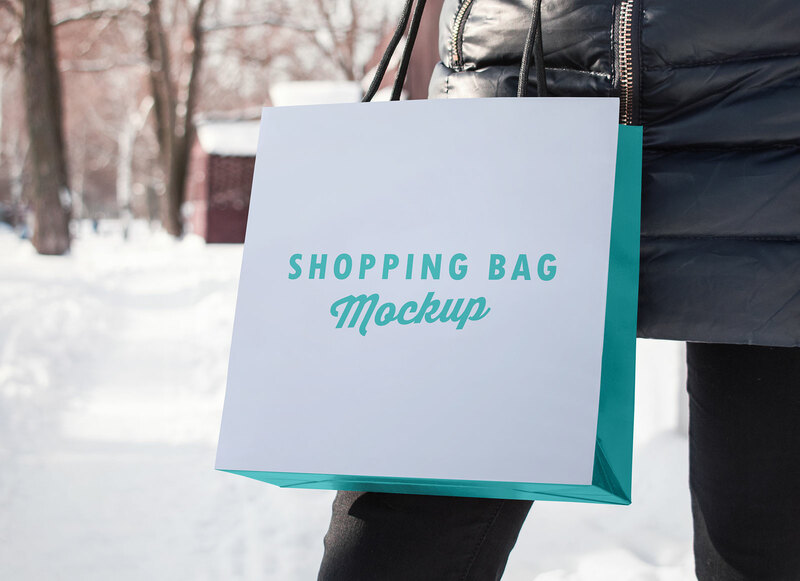 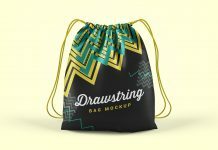 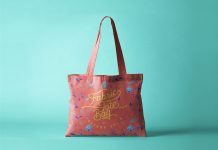 You can grab this opportunity to use this shopping bag mockup and relate design with winter graphic elements. 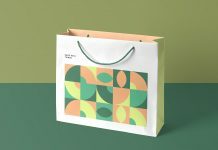 You can insert smart objects on all three sides of paper bag or fill color like the image below. 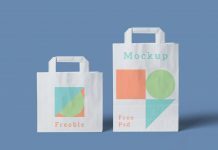 This mockup is designed by country4.